The 5.56 NATO is an intermediate cartridge that was created in 1980. Its outer dimensions are practically identical to that of the .223 Remington, however, the internal pressure is far different and the chamber leade – the part where the rifling starts – is manufactured at a sharper angle on some .223’s. 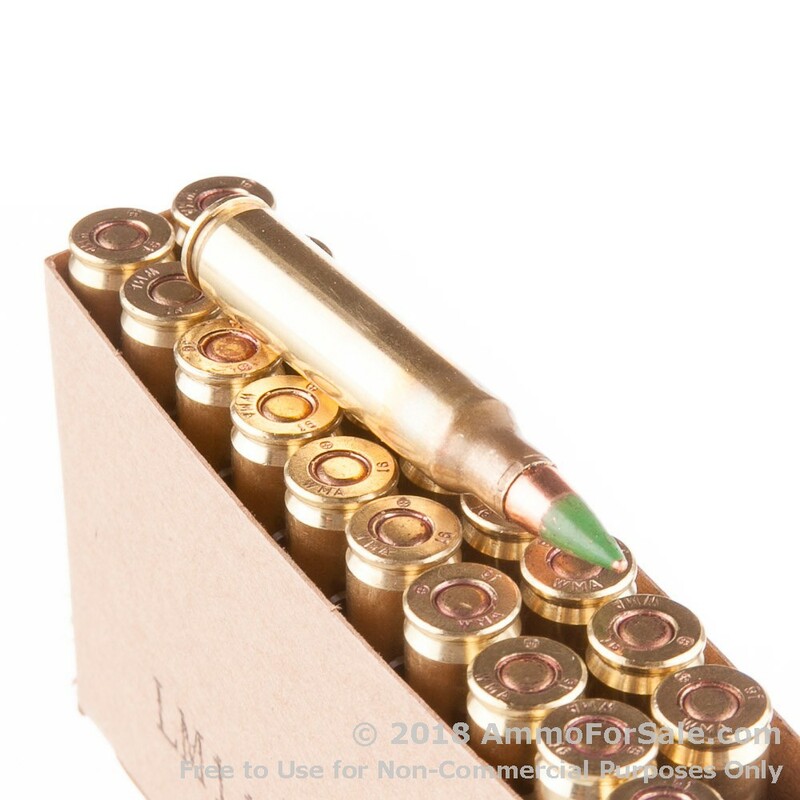 The 5.56 NATO is a hot round, and if you have a rifle chambered in this popular cartridge, odds are you enjoy its sheer brawn and impressive stopping power. 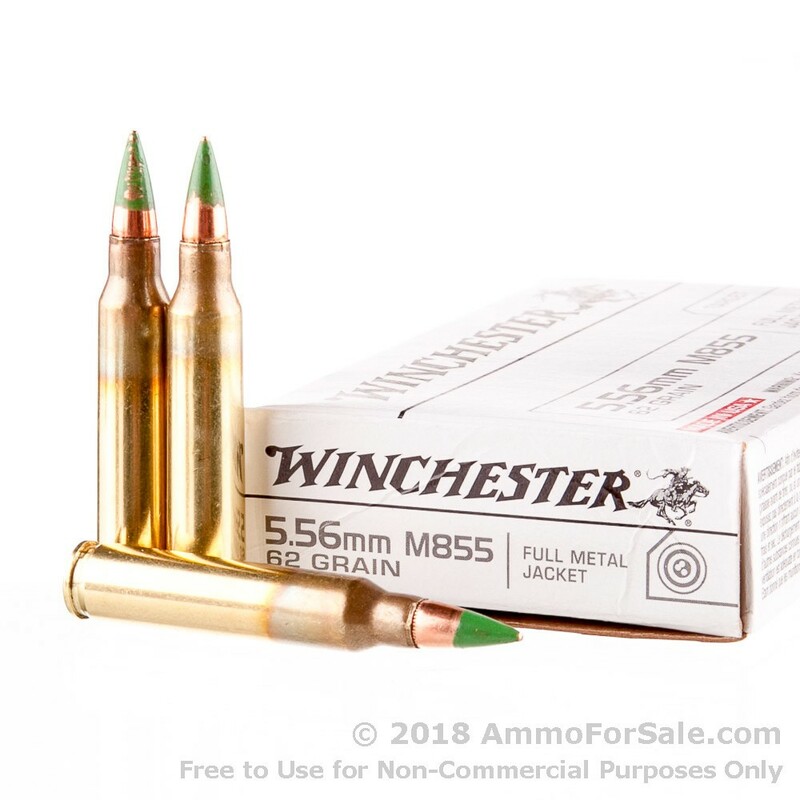 Whether you hit the range with paper targets or stationary targets like cans, jugs, and the occasional plastic Santa decoration, these Winchester Penetrator rounds will give you a dose of that incredible velocity and bold energy you love. Winchester was founded in 1866 by Oliver Winchester, and although they got their start making long guns, they soon began producing ammunition to go with them. Today the Winchester name is owned by the Olin Corporation, but as always, their ammunition is manufactured in America to strict specifications. 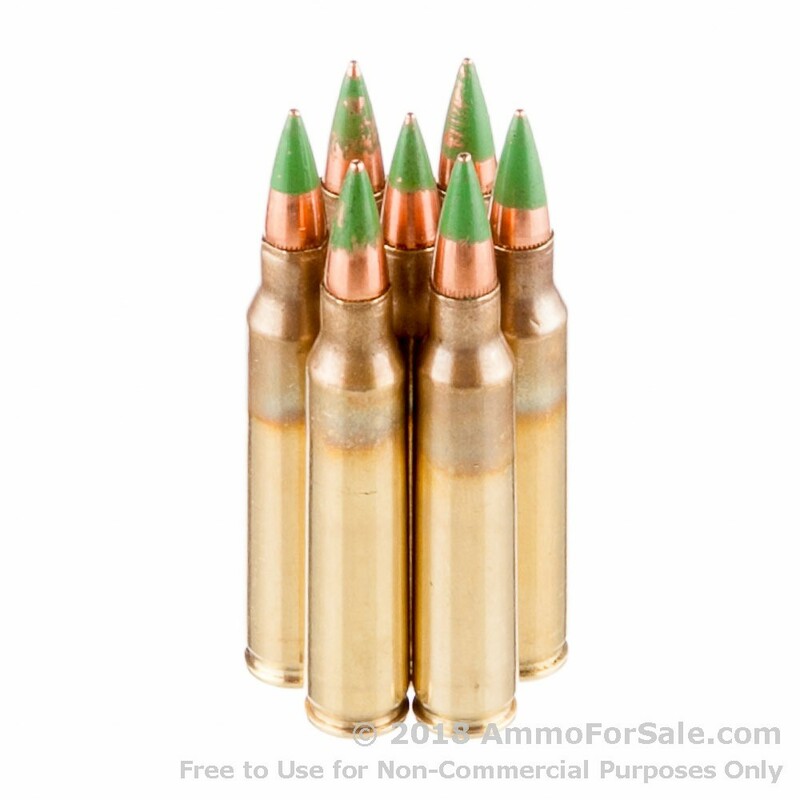 These green-tipped Penetrator rounds have a reputation for blowing through barriers with impressive strength and experienced marksmen, including members of the military, give them five stars and say they feed and eject dependably and have excellent accuracy. If you want a target round with real power, these FMJ rounds deliver that and more. They’re ideal for training and plinking, and they have a steel core, which increases their penetration capabilities. 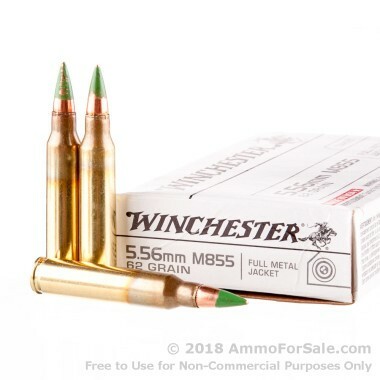 They’re 62 grain, which is the standard weight for this cartridge, and is lightweight enough to attain impressive speeds while heavy enough to make a solid impact. These rounds have a fantastic muzzle velocity of 3,100 feet per second and leave a major mark with a muzzle energy of 1,323 foot-pounds. There are 1,000 rounds in this case, so you can enjoy the almost unstoppable piercing power of Winchester Penetrator ammunition at length. Awesome rounds for the price.